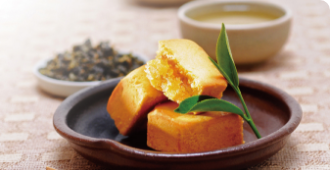 Chimei Pineapple Cake-Taiwan famous brand. 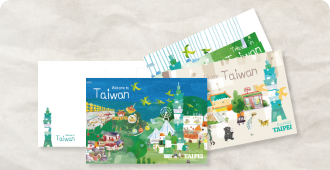 Free Taipei Fun Pass postcard limited-edition set. 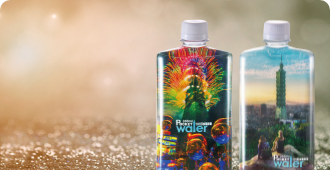 Free gift (Random package) with purchase of $500 or more.The most popular souvenir loved by tourists. FREE GIFT- a piece of pineapple cake with voucher (Limit one redemption per person) 10%OFF voucher for all purchases. Present your voucher at the counter to enjoy discounts. Only valid till Mar. 31, 2019. Please take good care of this voucher. Vouchers will not be reissued if lost, damaged, or expired. While stocks last. Products may not be replaced, reissued or exchanged for other similarly-priced items. Can not be combined with any other coupon and associate discount. Taipei 101 Mall reserves the right to change, terminate, or modify the promotional activity without any notification. 12%OFF voucher for any 3 packages of Fried pork fiber (250G)/Fried pork fiber with laver(250G). This voucher may not be replaced, reissued or exchanged for other similarly-priced items. 10% OFF voucher for paineapple pastry purchases excluding bargain goods. 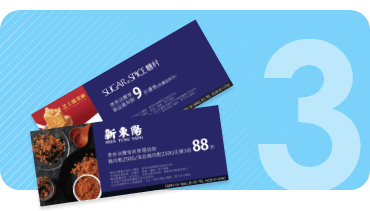 This voucher can be used at Taipei 101 Mall only and can not be combined with any other coupon and associate discount. 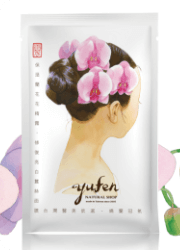 A single purchase over NT$1000 will be given a cash voucher of NT$100 (excluding purchases at name brand counters and items on sale), cumulative to NT$500. Not applicable to items, purchases at name brand counters, cigarettes, wine, milk powder for children under one year of age, NT$2 plastic bags at JASONS MARKET PLACE, commissioned sales items (such as garbage bags designated by county and city governments, game cards, etc.) and single bulk purchase over NT$20,000 on the same day. Not resalable and is limited to be used at JASONS MARKET PLACE. The NT$100 voucher represents cash, but cannot be redeemed for cash or given change. 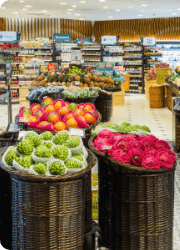 If the purchase price is reduced due to return of product and does not meet the criteria of the cash voucher, the consumer will have to refund the deducted cash amount for the cash voucher. This voucher is limited to one time redemption per transaction only. Wellcome Department Store Co., Ltd. reserves the right to modify, change or cancel this activity at any time and the right to interpret all matters and bring into force after announcement. Present this voucher at the counter on B1, 5F & 89F for the offer. Valid through Mar. 31, 2019. Taipei 101 Observatory reserves the right to change, terminate, or modify the promotional activity without any notification. 15% OFF voucher for purchases excluding bargain goods. Buy One Get One Free【Based on retail price】【Excluding selected items】Free 2-year Membership. Once the voucher has been used, it cannot be returned. The above business hours may vary due to weather conditions or human factors. Please confirm before departure. How to get TAIPEI 101 Coupons? 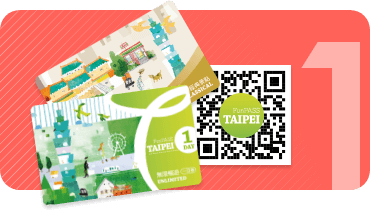 Please take your Taipei Fun Pass Unlimited Version, Classic Version or e-ticket QR Code of Taipei 101 Observatory issued by Taipei Fun Pass. Go to the Customer Service Center at B1 or Ticket Counter of the Observatory at 5F in Taipei 101. Take your coupons for gifts or enjoy discounts in the stores. How to go to Taipei 101 ? Would you like to take the fastest elevator to reach the Observatory on the 89F in only 37 seconds? Or can't wait to see the fascinating night view of Taipei? 2. Near The MRT Blue Line(Nangang Line) take about 10 minutes walk. Buses to Taipei 101 can be boarded at Taipei City Hall, the World Trade Center station, Xin-Yi Administrative Center, and the Grand Hyatt Taipei. On the side of the 7-11 in the B1 floor of the Taipei 101. 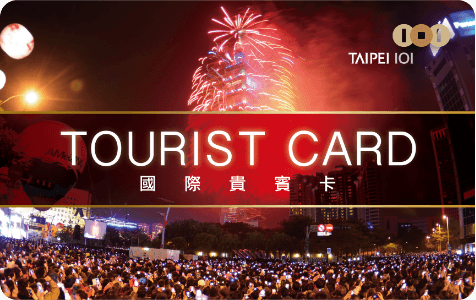 Apply for Tourist Card and get cash voucher for free! Meanwhile, enjoy exclusive discounts at name brand counters! Copyright 2018 © Taipei Fun Pass All Rights Reserved.